For the first time since independence, the Indian Air Force (IAF) strike aircraft crossed the Line of Control (LoC) in peacetime. In the early hours of February 26, 2019, twelve multi-role, all-weather Mirage 2000 combat aircraft escorted by Su-30 MKI air-superiority fighters and supported by combat enablers such as the Airborne Early Warning and Control System (AEW&CS) aircraft, Heron unmanned aerial vehicles and Flight Refueling Aircraft (FRA), carried out a deep strike against terrorist establishments in Chakothi and Muzaffarabad in Pakistan occupied Kashmir (PoK) as also in Balakot located in Khyber Pakhtunkhwa, formerly known as North West Frontier Province. It was a signal to the world and to Pakistan in particular, that India would not let Pakistan to continue to bleed her through terrorism. The political resolve was clear. After more than 40 Indian soldiers had been martyred at Pulwama through a terror attack, Prime Minister Narendra Modi had publically said that their martyrdom would not go in vain and would be avenged. The armed forces were given a free hand to choose the place and time of reprisal. The Pakistani security establishment was conscious of a possible Indian retribution and was on high alert. However, they did not expect an air strike because as such action is generally regarded as an escalatory step. No one would have imagined that in the backrooms of the IAF, a massive air strike was under preparation. Before any air strike of this nature, special reconnaissance missions are launched to gather intelligence on the enemy. Each target is studied in great detail and its location is ascertained with high degree of accuracy so that laser and GPS-guided bombs can be used to destroy it without collateral damage. India was clear that it was not targeting the civilian and military elements in Pakistan, but only the terrorist training camps and launch pads. In this case, the targets must have been identified and analysed well in advance. Many are now asking the question as to why an ageing platform such as the Mirage 2000 that was inducted into the IAF 35 years ago, was deployed for this critically important mission? 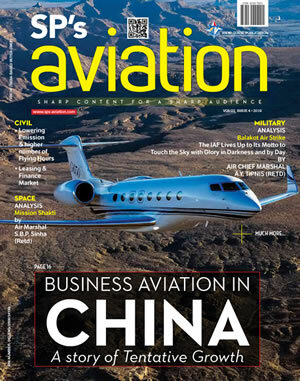 This single-engine platform from Dassault Aviation of France had played a stellar role in the conflict with Pakistan in Kargil in 1999 and was regarded as a gameâ€“changer as it helped turn the tide of war. This aircraft has a maximum speed of over Mach 2.2 and a combat range of 1,850 km. It also has the capability to deliver nuclear weapons. The IAF has named it appropriately as “Vajra” or “Thunderbolt” for its proven effectiveness as a precision strike aircraft apart from it being an effective interceptor. In the conflict in Kargil, the Mirage 2000 was equipped with Laser Guided Bombs (LGB) procured from Israel to destroy Pakistani bunkers. It had also targeted the logistic nodes and artillery locations across the LoC at Muntho Dhalo and in Batalik sector. 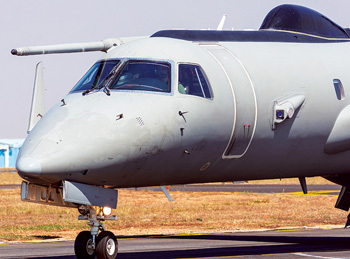 Although the aircraft used for strike on February 26, 2019 were the ones which are still to undergo the recently authorised major upgrade, they had been modified earlier to carry new generation strike weapons. The aircraft has a total of nine hard-points under the wing and fuselage with a capacity to carry 6,300 kg of bomb load and fuel in drop tanks. It had the capability to carry Israeli ‘SPICE’ electro-opticalcum-GPS precision guidance kit which is a derivative of the Popeye air-to-surface missile. These 1,000 lb bombs can glide over a distance of up to 100 km. The aircraft also has an excellent air defence capability by way of all-aspect close-combat and Beyond Visual Range (BVR) air-to-air missiles. It also has a good radar warning receiver (RWR) and self-protection jammers that would jam both airborne and ground radars. Clearly, despite its vintage, the Mirage 2000 fleet is still a very potent platform the IAF has to undertake a mission of this nature. The fleet however, is currently undergoing a major upgrade programme which will make this platform relevant for another three decades. 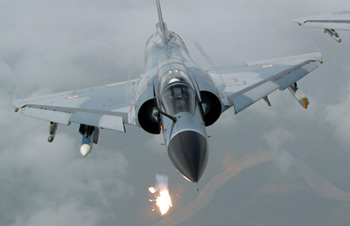 The twelve Mirage 2000 aircraft got airborne from their base in Gwalior. 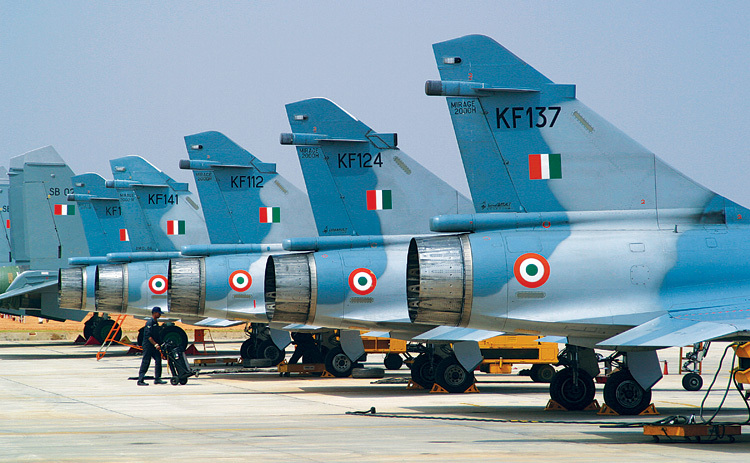 Apart from the main strike package, there were other fully armed fighters such as the Su-30 MKI and MiG-21 Bison deployed in the air-defence role. The AEW&CS aircraft and FRA were also deployed to support in their respective operational regimes. The aircraft would have undertaken tactical routing to avoid Pakistani radar detection and triggering of alarm. The whole strike was well choreographed. IAF choose the ‘graveyard shift’ timing of time on the target as 03:27 hours when the enemy radar and weapon systems operators would be at the lowest alert and efficiency. The IAF aircraft attacked terror camps at three locations. Muzaffarabad and Chakothi in PoK and Balakot in Khyber-Pakhtunkhwa nearly 60 km from the LoC. The bombs used have precision accuracy of around three meters. With 12 such bombs released, most would have had direct-hits. 1,000 lb bombs create a significant damage. The buildings housing the terrorists would have been badly damaged. During the tri-service media briefing, the IAF spokesman clearly articulated the success of the strike. The international community, including Pakistan’s time-tested friend China, has asked for restrained. There was high degree of maturity in the official statements by the Indian side both at the level of Foreign Secretary and MEA spokesman who made it clear that the attack was not against the Pakistani people, but against the Jaish-e-Mohammed training and indoctrination camps. The Pakistan Army exercises disproportionately high influence in the decision making process of their country. Egos in Pakistani establishment were hurt. They made a failed attempt to strike back the following day which was countered by Indian Su-30 MKI, Mirage 2000 and MiG-21 Bison aircraft. In the process, one Pakistani F-16 was shot down by MiG-21 Bison. The IAF lost a MiG-21 Bison in air combat, but the pilot ejected safely albeit in Pakistani territory. He has been repatriated successfully on March 1, 2019. The situation however, continues to be fluid and the last word has still to be spoken. 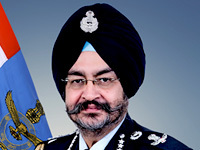 The author has been associated with the Mirage 2000 fleet since its induction into the IAF and has headed organisations responsible for operation by this aircraft in J&K.